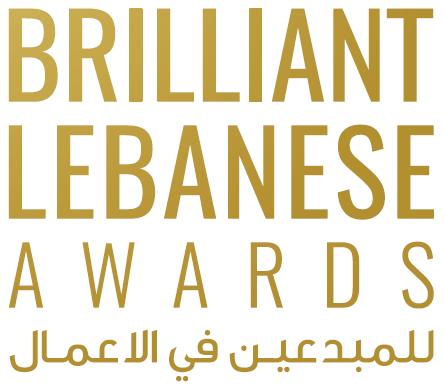 Beirut – February 2016: BLC Bank has built its reputation as Lebanon’s market pioneer in tailor-made services for women and is confirming its commitment to women by sharing its expertise with other financial institutions from around the world. Between the 3rd and the 5th of February, BLC Bank hosted its 4th study tour, the 2nd to the Global Banking Alliance (GBA) for Women members, focusing on the Bank’s journey in the development and success of the WE Initiative program. “As the first bank in the MENA region with a pioneering program for women’s economic empowerment, BLC Bank carries out study tours for banks from all over the world to encourage and influence the creation of women’s market programs”, said BLC Bank’s Chairman General Manager, Maurice Sehnaoui. “This study tour represents a learning opportunity to help international banks develop effective women’s programs in their own markets or take their early-stage programs to the next level”, he continued. The three-day event brought together international institutions such as GBA and the International Finance Corporation (IFC) as well as new and potential members interested in developing and growing a women’s market program in their countries and saw participants from 10 international banks and financial institutions, namely the European Bank for Reconstruction and Development, the Women’s World Banking, the Netherlands Development Finance Company, Postbank from Uganda, Bank Franco-Lao from Laos, Sanasa Development Bank from Sri Lanka, Chase Bank and Gulf African Bank from Kenya, TEB Kosovo and Barclays Bank from Egypt. “BLC Bank has, for a number of years, worked to foster and grow women’s roles in business. Access to banking institutions is key, but so is training and building a policy framework that encourages and facilitates female entrepreneurs’ success”, said Tania Moussallem, Assistant General Manager at BLC Bank and Chair of GBA’s Governing Board. “We are proud to be hosting this study tour and sharing our ideas and strategies with GBA members to contribute in improving the way banks help women drive the economy”, she continued. From her side, Inez Murray, Chief Executive Officer of GBA, commented: “Women are currently the biggest growth market in the world. According to a study recently published in Harvard Business Review their earnings are expected to reach $18 trillion globally in the next few years, making them a major market opportunity for many corporations. At GBA, we are helping banks reach women through understanding the market opportunity, including the segments within the female market and the study tours organized by BLC Bank are a key contribution to our mission”. The GBA is an organization that brings together banks and financial institutions from all over the world to develop strategies for the promotion of women’s wealth creation. In 2012 BLC Bank joined its ranks to become the first bank from the MENA region to sign up, and the first to commit to the UN’s Women’s Empowerment Principles. Since September 2015, BLC Bank – represented by Tania Moussallem, chairs the alliance.